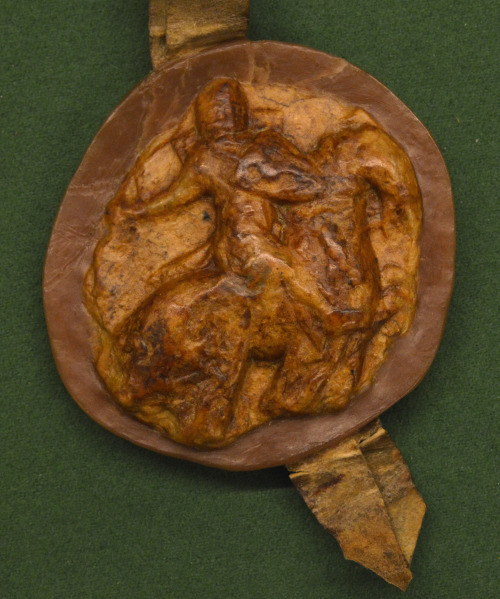 The National Archives of Norway has preserved several seals from the Middle Ages. 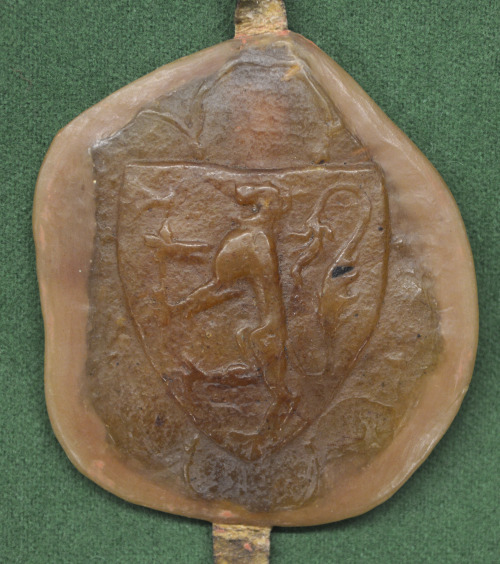 Many are elaborate, such as the Royal Seals. They were big and had magnificent motifs, were often two-sided, with different design on the front and back. Today it is common to sign a document to prove that it is legitimate. 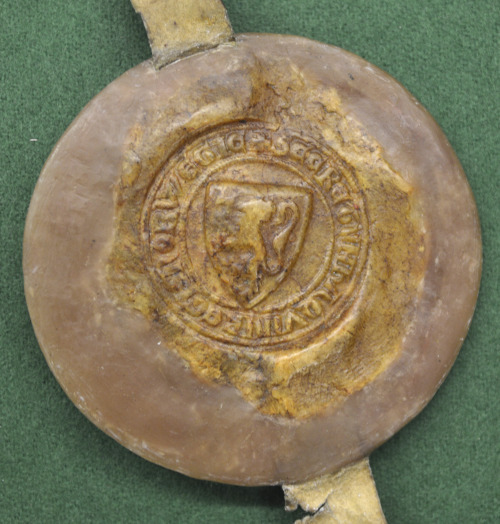 In the Middle Ages, documents were not signed, instead there was used a seal. 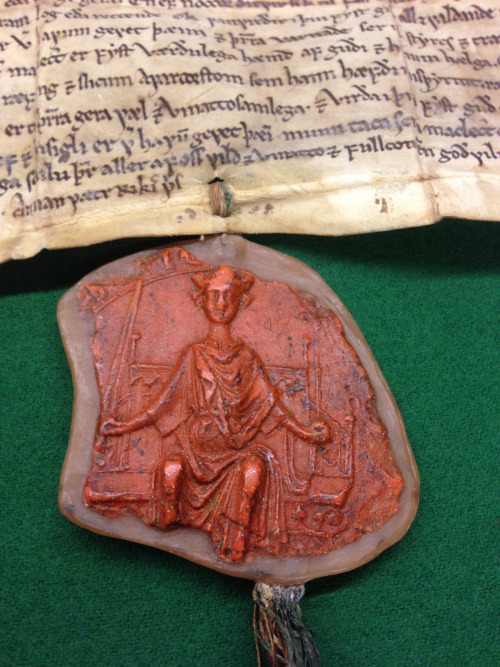 Kings, nobility and ecclesiastical institutions like convents and cathedral chapters used seal-dies with motifs. The dies were pushed down into a lump of beeswax, so that the pattern was transferred to the wax. 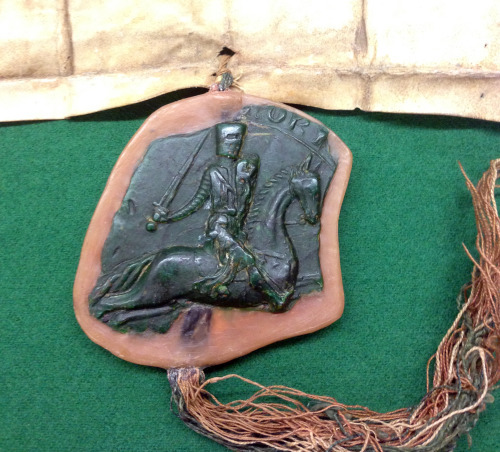 When a letter was written on parchment, the seal usually was hung under the document, either in cords or strings of parchment. 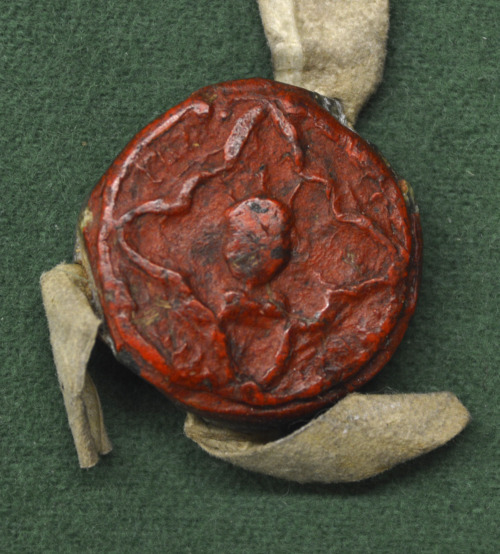 If the letter was written on paper, the wax seal normally was placed directly on the sheet. Also farmers could have a seal. These were usually quite small, and with simpler designs. 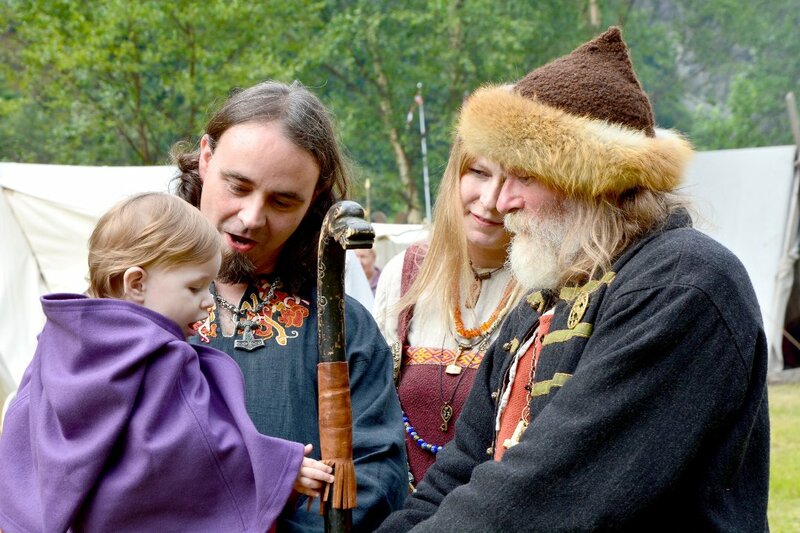 Persons who did not have their own seals, could get others to seal in their place. Some letters from the 1500s have signatures. It also happened that farmers signed documents with their personal mark. 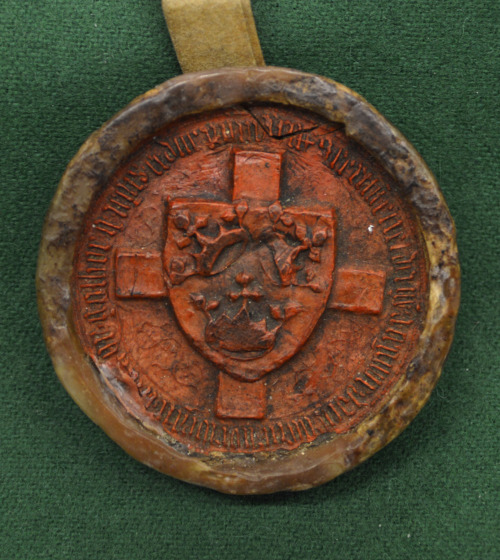 The seven pictures below show a small selection of the finest Norwegian Royal Seals preserved by the National Archives of Norway. They are somewhat worn for several reasons. Over the centuries they have been exposed to impacts and abrasion. 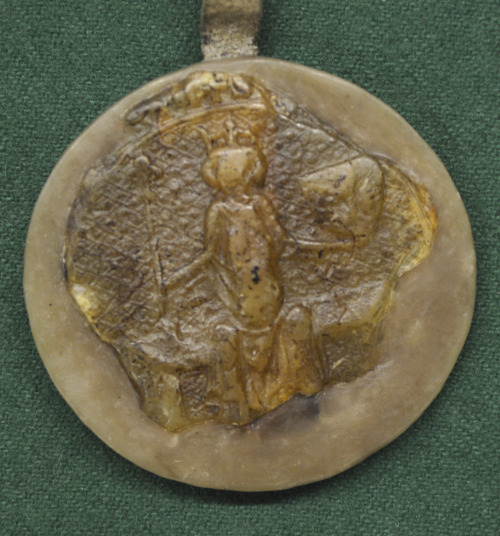 Furthermore, the beeswax has been exposed to mildew which unfortunately also degrade the quality.